All the amenities for a perfect getaway! Enjoy year ’round relaxing vacations in either the charming 1860′s Swan Cottage or equally inviting 1890’s Swan at Stonehearth and our new rental Swan’s Nest. Pet-friendly Swan Cottage, romantic Swan at Stonehearth, and delightful Swan’s Nest are ready for your relaxing Pure Michigan vacation getaway. All three village cottages are located in town just a few blocks from downtown Montague and the Hart-Montague bike trail. While none of cottages are located on the water, it is just a short, scenic drive to the beaches at Lake Michigan and dozens of other area activities. Your Pure Michigan vacation begins at Swan Cottage, Swan at Stonehearth or Swan’s Nest! Conveniently located just up the hill from downtown Montague, Swan Cottage, Swan at Stonehearth and Swan’s Nest offer a quiet in-town setting for peaceful getaways. Did you know that there is an old-fashioned soda fountain in Montague? You can visit the World’s Largest Weathervane, take in a summer concert at the band shell, or enjoy a frosty root beer at a 50′s drive-in all within easy walking or biking distance. These unique locations along with a wonderful book store with a coffee shop and wine bar, a yoga studio, antique shops and an art gallery are all in downtown Montague. Wow! I cannot say enough nice things about our labor day weekend stay at the cottage. Firstly, this place is immaculate. The decor is darling..It should be in “cottage living” magazine. We arrived late, but were welcome with lights on, a nice note and info on the table…not to mention a loaf of homemade pumpkin bread and coffee for the morning. The neighborhood is clean, safe, quiet and friendly. You can walk quickly to the shops and lake. We will be back. Thank you. In Montague, you will find the freshest produce at the seasonal farmers market as well as a local grocery store with a great wine and craft beer selection to keep the fridge stocked. Cross the bridge to Whitehall via the bike trail and you will find several delightful shops and restaurants along with summer theater productions waiting to be discovered. Use the cottages as your base for exploring the beautiful West Michigan shoreline enhanced with numerous other seasonal activities. The White Lake area has much to offer. 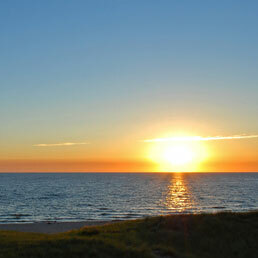 The Lake Michigan coastline offers many recreational opportunities. Several golf courses are within a short drive as is Michigan’s Adventure Amusement Park. Reserve your favorite date for a visit in any season. Swan Cottage, Swan at Stonehearth and Swan’s Nest are the perfect places to “re-charge your batteries” with a relaxing visit. Each cottage is also ideal if you are working in the area and would like privacy and more space than the standard hotel room offers. Corporate/extended rates available for qualified reservations. Call 231-894-5169 and we will be sure that a reservation is in place for your relaxing getaway!